Set of four Handmade fabric coasters to liven up any space! Let your nerd flag fly with Game of Thrones and Dr. Who themed coasters, showcase your cat lady (or gentlemen) status with cute cat patterned coasters, or choose seasonal patterns to decorate for the holidays! There's a coaster for everyone! 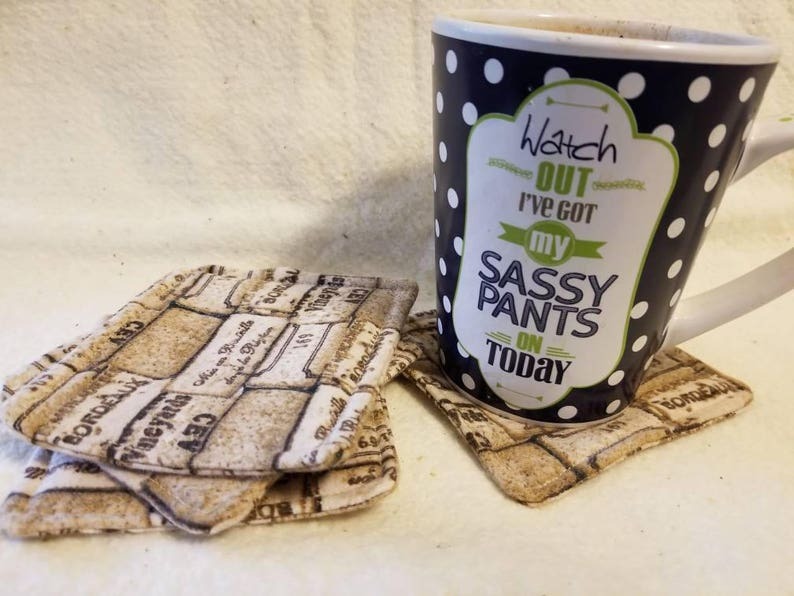 These coasters are all made with love and are machine washable (gentle cycle, low heat or air dry. NO BLEACH). Flannel and cotton fabric with a natural cotton batting inside make these nice for protecting your hard surfaces from water rings while showcasing your style! I make these to order, so if you would like more than what I have listed, please send me a message and I will make sure you're able to order the amount you want! These make great gifts for fellow nerds, holidays, and special occasions.